Our canine friends have many admirable qualities. From intelligence to affection, they enrich our existence in many ways that contribute to our happiness, life-quality, and even stress-relief. However, we often forget that the relationship between a dog and their owner is not one-sided at all: they love to love their humans just as much as we are attached to them. 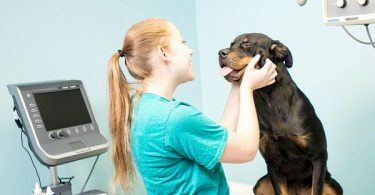 We all have heard heartwarming stories about the unique way dogs bond with their owners, proving that these animals indeed have a legendary loyalty to us, in good times or bad. Such anecdotes have served as the basis for many blockbuster movies and tear-jerker books, but do you know whether these could be true in reality? Are dogs really faithful to us, humans? How can we tell that they are genuinely attached to our person? And above all: why are they so loyal to their proud owners? This article will answer all the questions about the famous faithfulness of our canine companions. Are Dogs Really That Loyal to Their Humans in Real Life? Dog-lovers have always known what science is only beginning to prove these recent years: amongst all types of animals, including the ones that are kept as pets, dogs indeed have no match, when it comes to loyalty. Even such popular furry friends, like cats, don’t compare, although, as always, individual felines can show sincere interest in their owners. Dr. Paul Zak, a California neuroscientist, and his research team have found that dogs’ produce a large amount of oxytocin, -the happy-hormone- far exceeding what cats’ bodies create. Dogs simply respond better to having a positive, gentle, and loving relationship with their human, full of eye-contact, physical touch, and even by merely being near to one another. Paired with the famous canine intelligence, which -according to an article featured on Time.com– describes just how similar humans’ and dogs’ brains and cognitive development are, it is easy to imagine that our pets quickly become conditioned to our positive presence and habits. In short, they are smart, and they learn to associate us with the good stuff. Still, it would be an underestimation of dogs’ and humans’ age-old history together if we assumed it is nothing more than pure conditioning. As we will see, canine loyalty is a rather multi-faceted issue, stemming from many origins, including genetic, cultural, and behavioral causes. Let’s take a look at the most common theories below. Many scientists and canine behaviorists have researched the reasons behind our dogs’ undying love and loyalty to their owners. Their findings point toward the importance of the following aspects. To the day, it is impossible to determine when exactly the friendship between humans and wolves began, the fellowship that eventually led to domestication. As the Discovery Magazine explains, ancient DNA samples point towards Europe, Central or South Asia, along with the Middle East, as the place where this amazing journey together may have begun. Somewhere between 10,000-38,000 years ago, wolves had started to recognize the benefits of following around scavenging groups of humans, as opposed to the more difficult option of hunting for their own bounty, every single time. How is that for an excellent proof to illustrate canine intelligence, resilience, and complex problem-solving skills? Wolves also quickly noticed that they are more likely to be successful in snatching something delicious from humans when they act in a friendlier way, not appearing as something that posed a threat to the ancient man. The hunter, in return, was less eager to take the wolf’s life, not perceiving it to be a danger to the community and the safety of the settlements, as well. The story doesn’t end here. Humans may eventually have also discovered that keeping friendly-acting wolves near themselves offered protection against wild animals or other, unknown, free-roaming packs of aggressive wolves too. Thus, the foundations of a win-win type of relationship have been laid. The journey from these ancient beginnings to complete domestication was likely a rocky one, with lots of injuries and trial-and-error type of experimentation. Still, the history of humans and canines was irreversibly bound together from this point on. Today, necessity may no longer be the reason to keep us side by side, but the love of companionship forever remains. Have you ever seen stray dogs roaming in a group together on the streets, with a noticeable pecking order between its members? If so, you’ve had a chance to witness the original social environment of wild dogs and their undomesticated, lupine ancestors. Wolves were pack animals from the beginnings of their species, a clear evolutionary advantage for the group, enhancing each member’s chance of survival, getting enough food on a regular basis, the protection of young pups, and the opportunity to fare better in the wilderness than alone. Frankly, lone wolves, excluded from the pack, likely didn’t stand a chance. When living in groups, the hierarchy of the pack resembles the ancient days: on the top is the Alpha dog with a breeding partner, followed by dogs of lower rank in the group. Once the Alpha has established himself, pack members accept the pecking order, with everyone knowing their place, enjoying the protection and the benefits of this communal living. When welcoming a puppy or a dog into your household, under optimal circumstances, they will accept you as the Alpha, happily assuming a lower position in your group just for the opportunity to be a protected member, with its perks included. Even if not well-trained and thinking himself above you, your dog still considers you as an important member of his pack. Much like in any pack, members rely on one another for everyone’s sake and well-being, a necessity innately recognized by all lupines or canines. 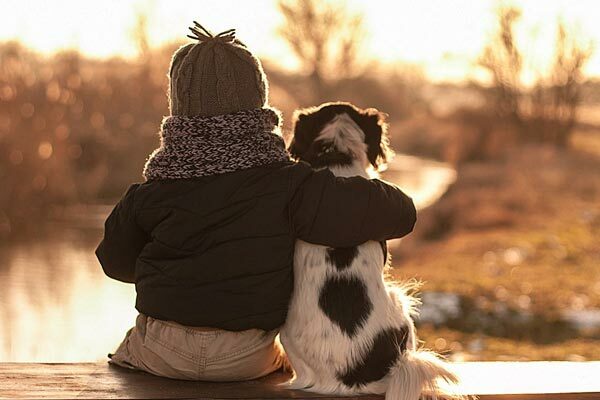 Thus, loyalty is not merely a feel-good attachment; in nature, it is a matter of life-or-death, creating a complex interdependence, something you may still observe in your dog’s behavior, even as the member of a human pack. On the other hand, as we’ve seen before from scientific findings, this secure attachment does create a positive emotional response in your pup. When feeling safe, accepted, and loved, it seems as though they are very eager to keep you and your family happy and serve the group’s -real or perceived- needs. So, if you see the physical evidence of your dog’s loyalty by happily grooming you, attempting to cheer you up when sad, or relentlessly dragging you on a walk, remember: they too have the psychological need to contribute to your pack’s well-being. Next, we will take a look at how this may play out in your relationship. A win-win type of relationship between humans and dogs is the natural consequence of living in a tightly-knit pack. As we’ve discussed, our pets enjoy the abundance of our provision: all the food, treats, playtime, cuddling, and the medical care they need throughout their lives. The website of PetCentric underlines the importance and benefit of the presence of a canine companion in humans’ lives since ancient times: by providing shelter and safety, man gained a reliable hunting partner and a guardian against various enemies. Soon enough, humans found diverse ways to take advantage of dogs’ loyalty. In our modern world, we harness this canine intelligence and substantial bonding capacity in multiple ways: they are widely used as service dogs, helping the work of the military, police, or secret services. They help us to find victims buried under rubble, sniff out a lost person’s whereabouts, or help those with a sight impairment to be their pair of eyes. Make no mistake: while training is crucial to prepare a dog for service, may it be accompanying humans on a risky adventure or offering stress- and pain-relief to an elderly individual by providing them love, none of this would be possible based on intelligence alone. Indeed, dogs do desire to please us, recognizing themselves as important pack members. At the same time, such behavior is not merely learned and assumed by dogs being observant and alert to their environment and their humans’ needs. Science is beginning to show that in this case too, there is more than what meets the eye. Let’s see what dogs’ genetics show us about the hereditary nature of loyalty. Recently, new scientific findings are emerging regarding our dogs’ friendliness and loyalty being genetically coded. As the website of Science Advances reported, it seems that at some point, certain genetic mutations have occurred in canines’ DNA material, leading to social and behavioral changes. Interestingly, in the case of humans, such a genetic mutation -the deletion of over 25 genes from inside a chromosome,- leads to the development of a disorder. One of the characteristic signs of the resulting Williams-Beuren Syndrome is a behavior markedly affected by extreme sociability and friendliness. It is not a far stretch to imagine how such a mutation could have lead to the increasing positive behavior -including loyalty- in dogs, significantly supporting the development of the above-discussed mutually beneficial relationship between humans and canines. It seems, our dogs’ loyalty is genetically programmed and extremely easy to build on with a little extra care. Speaking of love, dogs are very much like us, humans, when it comes to responding to affection and a gentle, nurturing relationship. Frankly, it feels great to love and be loved, and our dogs are no exception when they prefer living in a harmonious relationship with their two-legged pack. Our canine friends are wired to seek our attention, doing everything to keep us happy and cheer us up when we are under the weather. Similarly, their faces light up with joy and a sense of great contentment when we show that we are also willing to go an extra mile to ensure that they are feeling great, included in our activities, and allowed to be near us physically. How Can I Tell That My Dog Is Loyal To Me? Not only our pets learn to read our mood from small signs; dog-lovers also become more in-tune with their four-legged pack members, over time. Before we know it, we learn to recognize the signs when our dogs are happy and showing devotion to us. A puppy or an adult dog that shows interest in our activities, following us from one room to another, gazing at our face, waiting for our slightest reaction, while eager to be petted and groom you, in return – these are just a few sure signs of having a loyal pet-companion. Rest assured, such a dog knows where they belong and becomes firmly attached to you. Are you interested in more information about how to find out whether your dog truly loves you? Are There Dog Breeds That Are More Loyal Than Others? Absolutely! The evolution of dogs is still an ongoing process, and we don’t know what a domesticated animal will look like in a few hundred or a thousand years. Some dog breeds are naturally more inclined to be loyal to you and protect their pack fiercely. Evolution, history, socialization, and feel-good hormones; dogs have a deeply ingrained connection to humans that both parties enjoy since ancient times. It is more than a simple give-and-take; it’s a relationship that our dogs wholly enjoy, always eager to prove their loyalty to their favorite person, which makes us firm believers in dog-owners being the luckiest people alive.